Download the Zoho CRM App on your mobile devices and acesss your CRM data anywhere, anytime from your mobile phones (iPhone, iPad, Android and BlackBerry). You are visiting a client 30 miles away from your office and you are thinking, “may be I should visit other near by clients.” Zoho Mobile Edition allows you to do just that. Easily find near by clients using mobile edition of Zoho CRM. 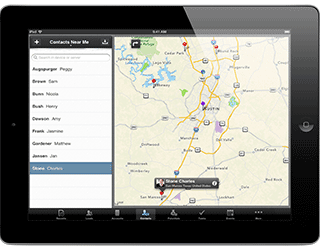 You can access your CRM even while you are flying. Use Airplane mode to access CRM while flying. Records will update once you are connected with network. 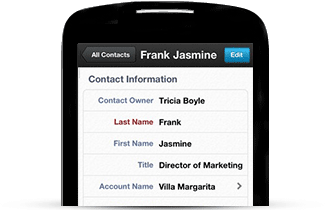 Access your CRM on your Android Device, iPhone or iPad. Access records with or without network. Wouldn’t it be cool to see email contacts associated with CRM in one place. 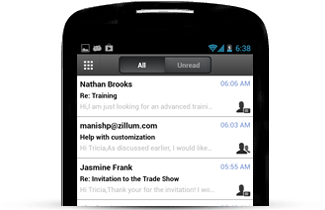 Zoho mail magnet can identify the important emails from your customer and notify you.